Posted March 24, 2017 3:59 pm & filed under Cactus. 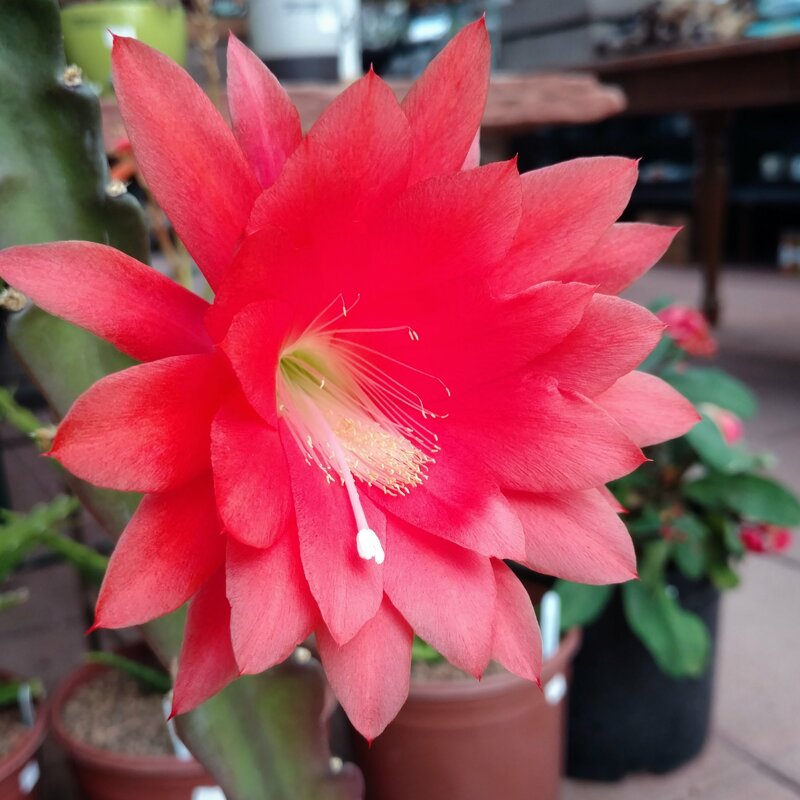 Our first epi flower of the year has opened and its red! Cactus flowers for everyone!